Amazon started shipping the new second generation Amazon Fire TV 4K last week. 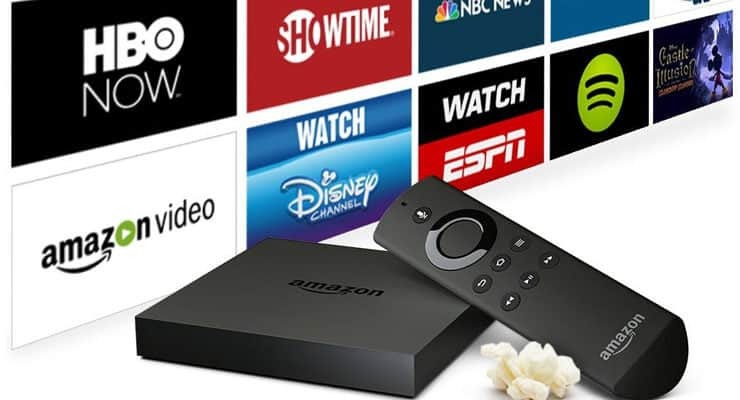 The first iteration of Amazon Fire TV was a big hit among media center enthusiasts because it brought everything into one box: Amazon Instant Video, Netflix, Sling TV, and more importantly Kodi. We have covered Kodi installation on Fire TV, Kodi shortcut on Fire TV home screen, and auto-starting Kodi on booting. Kodi installation and auto-starting Kodi still work on the new 2015 Amazon Fire TV. So why am I saying Amazon FireTV Gen 1 is better than the newest AFTV 4K version? Read on to find out. Fire TV vs Fire TV 4K – I gave away the answer in the title. But it is important to understand that my impressions are based on the performance at the time of the release. Amazon may fix many of the issues in new Fire TV 4K with future software updates (next one expected around October 22nd). Unfortunately, preliminary tests reveal that these theoretically better specs did not translate into better performance / experience. Consequently, the new Fire TV currently has a rating of 2.8 out of 5.0 on Amazon reviews. Now let us have a detailed look at Amazon Fire TV 2014 vs Fire TV 2015 and why the first generation is better at this point. The biggest issue is the lack of surround sound or HD audio output / HDMI passthrough for apps such as Netflix, Plex, and Hulu. This ruins HD watching experience for people who have a home theater speaker setup as all audio is downgraded to 2.0 channels. And when audio does work, it seems to be too low. Some Kodi users have reported that the audio had to be turned all the way up to even barely hear conversations. Fortunately, this could be fixed in the next software update expected around October 22nd. Update (Dec 15, 2015): Amazon is rolling out an update to 2nd Gen Fire TVs that fixes the Dolby DTS surround sound issue. To add to the audio issues, the Fire TV 4K compared to Fire TV 2014, has no optical audio output. With HDMI passthrough not working as it should, the optical audio out could have come in handy. Fire TV vs Fire TV 4K: MicroSD slot added but Optical Audio removed. Amazon changed the design for the battery cover. I had to press really hard to make it slide open. Some users spent over an hour trying to open the battery cover to install batteries. The previous version had a clip design, which was very easy to open. The Amazon Fire TV 2015 sports Fire OS 5, which seems a bit half baked at this point. There were numerous blank screens and freezes while trying to stream videos. With better specifications, one would expect more responsive operation. Again, these bugs could be ironed out in the next update. Update (Dec 15, 2015): I am noticing less of these things after few recent OTA updates. 4K Video streaming from Amazon works but only at 30 fps and not 60 fps like (1080p or 720p videos). Furthermore, 4K videos does not work unless you have HDCP 2.2 compliant devices (with HDMI 2.0). For some this may mean, upgrading their TV. Update (Dec 15, 2015): Recent updates have improved Alexa and added more features to it. Good news is that Kodi can be installed and it does work normally. But homescreen shortcut to open Kodi (with Llama and iKonoTV app) does not work at this point. There is no known solution. So you will have to manually go to Settings->Applications->Manage Installed Applications and open Kodi every time you want to use it. You can make Fire TV auto start to Kodi but how many times do we really reboot AFTV. The chances of fixing this or rooting the new AFTV 2015 significantly increases by stopping software auto update. I have Logitech Harmony remote. The “OK / Enter” button does not work properly on many apps. This causes a lot of issues with navigating and playing content. Many have reported this issue in online forums as well. The awesome performance of Amazon Fire TV 2014 created a huge expectation for the 2015 version. But the new Fire TV 4K did not live up to it. Once again, many of the above problems could be fixed with a software update. I have both 1st and 2nd generation Fire TVs but I am continuing use my first generation while I test the new Fire TV 2015. It almost looks like Amazon hastily released the new Fire TV to beat out competition from 2015 Apple TV and Google (Chromecast). If you already bought the new Fire TV, you may return it, wait for the bugs to be ironed out, and re-purchase. Or you could hang in there, with the hopes that future updates would improve your Kodi and Fire TV experience. 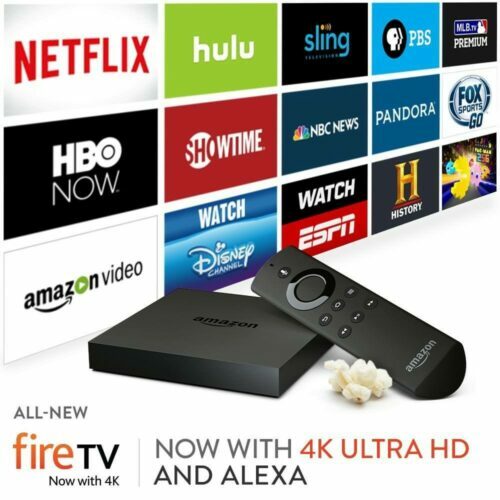 But I would not hesitate to buy the 2nd Gen Fire TV because it is still, in my opinion, the best all-one-box that can play online content from providers as well as using Kodi.